This set is every artist's dream: A huge collection of high quality art supplies in one convenient box- it even includes an easel! 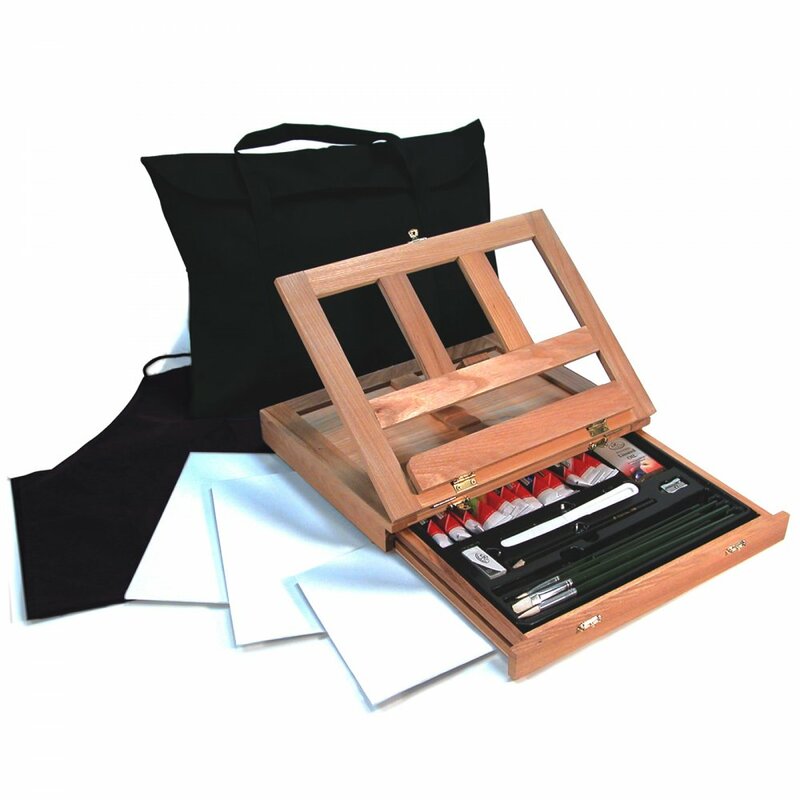 The wooden storage box keeps supplies neat and organized and transforms into an easel for convenient painting anywhere. And as a bonus, everything fits into the heavy duty travel bag, making this a portable art studio able to go wherever you want. Tidy table stand for painting. Everything you needed for a starter at Oils.